In part one we covered how to create a challenge so compelling that your target audience member would not be able to resist signing up. We identified their specific, urgent problem that our audience was having and we made sure that we were able to give them a solution to that problem. Hooray! Undoubtedly, creating a challenge that will be really useful and appealing to our audience is a big step. The next step is making sure that people see this wonderful challenge you’ve created. And this is where it is easy to make a mistake that will cost you dear in the ‘sign up’ department. After we’ve created our challenge, it’s easy to go out into the world and immediately start tweeting, pinning and emailing away to announce it to everyone. And that’s great. However, we don’t want to just hope, we want to know that when people land on our website – that they are going to sign up to our challenge. After all, ten people coming to your site and all ten joining your challenge is better than one hundred people coming to your website and only one signing up for the challenge. So – how do we make sure people sign up to our challenge when they come to our website? So we have our challenge. We’ve dedicated it to our very specific person, having their very specific problem. 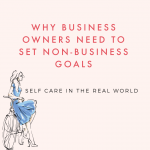 We’ve made a great start but before we start thinking about how we can get our challenge out into the world we need to consider one more thing. Where are we going to send them? Again, it doesn’t matter if you get thousands of people to your site if, when they get there – they get lost. Please don’t think I’m not being condescending to your readership. It is a simple fact that human beings are busy people who are prone to distraction. If you send someone to your website and they are filled with the intention of signing up to your challenge, we want them to do just that. We don’t want them to go to the blog, or visit our Instagram page. We want them to sign up. So, we want to send them to a page where they can do just that. And nothing else. If I click through to a page to sign up to a challenge or opt-in, if there is something else on that page – I’m going to be distracted. I might even click off that page and I might forget to come back. At any given time, it should always be clear to your audience member what they should do next. If they are reading a blog post is should be clear that they should download your opt-in. It should be clear that they should then check their email etc. It might help you to write out the sequence of steps that you want your audience member to take. This will help you visualize the journey you are taking them on. By doing this you will be better placed to get rid of any unnecessary steps and allow you to more clearly guide them from step to step. For example: Pinterest Pin > Blog Post > Content Upgrade > Welcome Email > Indoctrination Series > Educational Email > Motivational Email > Offer. This blog post is primary about challenge promotion, rather than the challenge itself, so I don’t want to talk too much about email sequences. However, when creating funnels like this, email sequences can be a very fundamental part of the puzzle. Or if the technical side of emails are holding you back, fear not! 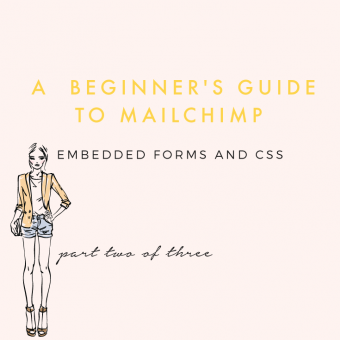 We have a beginner’s guide to MailChimp right here when you are ready (as well as tutorial for more advanced features here) . 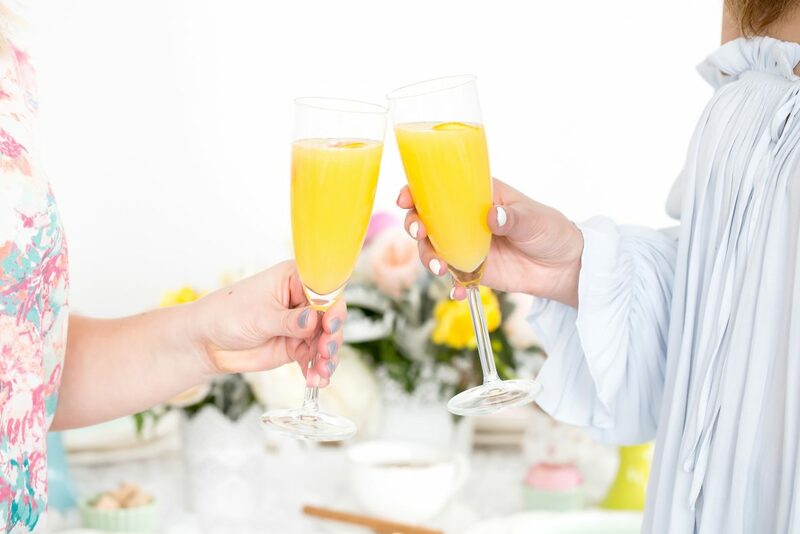 Before we head off into the promotional aspect of this post, I do want to quickly mention how important it is to measure your results. This is important because it will show you what’s working and what isn’t. Even if this is something you can fix for this particular challenge, you know it is something that you can improve on, next time around. If you don’t measure your results, you will never know what works and therefore you will never be able to improve. You will always be wondering: how do I get more people to sign up to my challenge? So, for each of your traffic sources, take note of how much traffic is coming from each source, which traffic is converting the best and (if you want to take it to the next level) which type of landing page is converting best. It’s important when we are planning to launch or promote anything that we have a content plan in place. A content plan is important because it means we can more effectively target our audience and we can educate, motivate and engage as appropriate. Again, this is about thinking about the exact steps we want our audience to take. It’s also thinking about how we can get our audience to take those steps. In the third part of this series will be a long list of promotional ideas that you might like to use. However, not by any means do I suggest trying all of these methods at once. 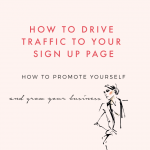 Nor should you think that the more ways your promote your content, the better traffic you get. There is very much a point of diminishing returns with this thinking. 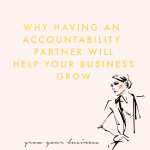 Using these methods not as separate avenues but using them together, to support each other and to create a cohesive whole working to a single goal. You can use different types of content, on different mediums to give your visitor small pieces, that will come together to provide a complete experience. However, before we dive straight into getting our challenge word out into the world – it’s first important to think about our current subscribers, even if you only have a few at the moment. 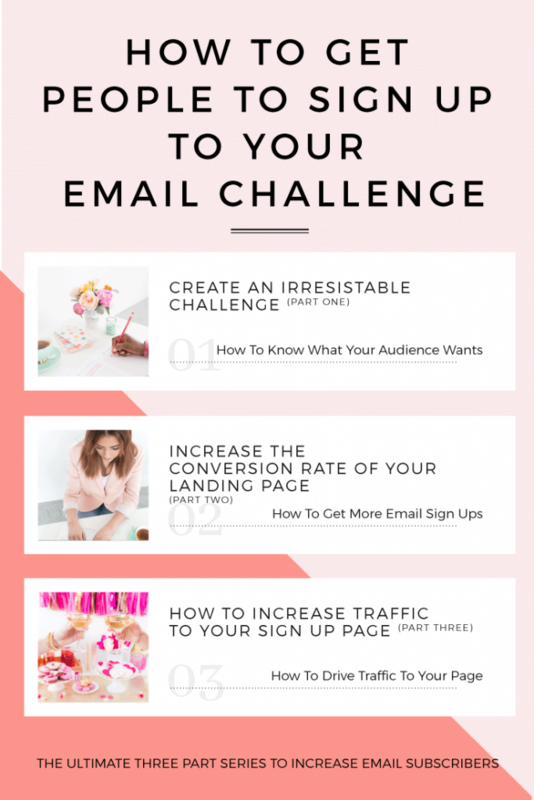 Often, one of the primary goals when we launch a new challenge is to build our email list. It is sometimes the case that we forget (or at least only consider as an afterthought) our current subscribers. However, our current subscribers are the last people you want to forget because they are made up of some of your most passionate brand advocates. Your email list, at the very least, are made up of people who have indicated that they have a particular interest in you and your brand. Firstly, you want to get your subscribers involved because our main focus should always be looking after the interests of our current followers. If this challenge is something helpful to them, which it should be, then of course we want to offer it to them first. This is also a great place for you to get feedback. 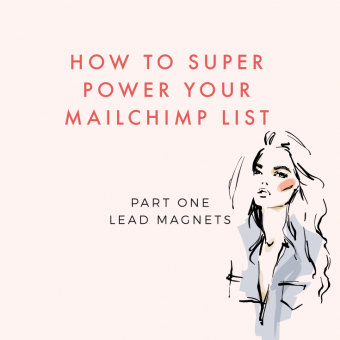 For example, if you announce your challenge to your email list and no one seems interested, then you might want to go back to the drawing board, before pouring all that work into a public launch. Secondly, your current followers are your biggest brand advocates. Not only do you want to provide them value but you will also want to provide them with the opportunity to share the challenge to their own social networks. Make sure that you give a clear call to action in your emails, to ask for their help in sharing your challenge. You are about to create a lot of content to promote this challenge, so you will have lots of valuable information to share with your subscribers, from all the new blog posts to (possibly) the Facebook Live sessions you (maybe) hold. But we’ll be talking more about that below. NB I received a question from one of The Coffee Club member which asked: should you automatically include your current list in the challenge? ie send them all the challenge emails. This answer very much depends on your email list. However, I think it would be wise to either ask your email list whether they would like to opt-in to the challenge, or, at the very least give them an option to opt-out of the challenge. The reason for this is because the challenge itself might not to be relevant to all of your subscribers. Whether by topic, or by skill level. 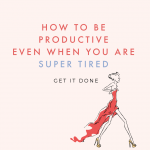 As well as the fact that a challenge usually will mean sending out email daily, or more frequently and some subscribers may simply just not have the time – or want their inbox full right now. What Content Will You Produce In the Run Up To Your Challenge Launch? There are a myriad of platforms, communities and mediums through which to share and create content. You and your audience’s preferred method of content might be blog posts, video, vlogs or podcasts to name just a few. The length of time over which your want to produce your content is totally up to you. For a full blown course launch, between 30 and 90 days seems to be the most applicable timeline. Depending on the length on your challenge, your promotional window might be quite a bit smaller than that. Of course, this is something you can test, to find out what your audience prefers. However, if you need some guidance, for me, I find that between two and three weeks is the best time scale. Anything under two weeks, I feel, doesn’t give your promotional content long enough to really take hold and permeate your niche. Also, in my experience, anything that is stretching into the ‘four weeks’ territory runs the risk of early adopters seeing that the challenge starts ‘a long time away’ yet and they loose that urgency to sign up. 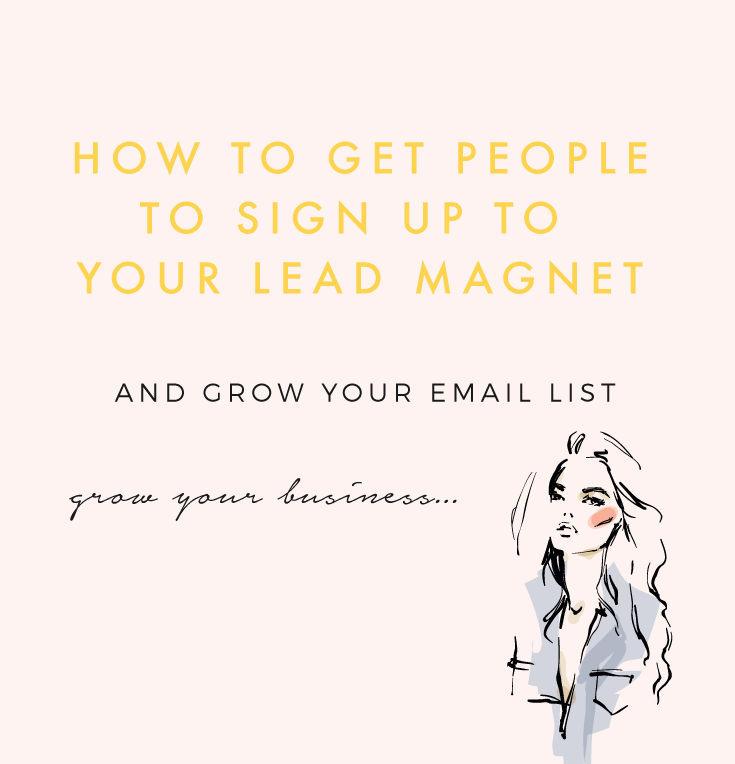 Those that do sign up are also more likely to loose interest, or forget about the challenge before the start date unless you have a very compelling series in place to maintain their attention. Before you start creating all your content, there are few foundational items you will need to have in place to make sure content works in the most efficient way possible. Obviously you don’t want to sink all this time into this content creation and not have it be the most efficient it can be – so make sure that each post you write or video you create, is working at optimum level when it comes to catching Google’s eye. SEO is a vast topic in its own right and if it something unknown to you, I do recommend setting some time aside to become more familiar with it. However, here are a few quick tips to get you started. Make sure you are familiar with the ‘keywords’ for your topic. More simply, these are the words that your audience member might use when trying to find a solution to their ‘problem’. It’s good to incorporate these words into your blog posts – in a natural way. A good mix of single words and phrases is good. How do you find these keywords? A great place to start is Google itself. Simply Google a phrase that you think might be used when searching for your challenge or post. For example ‘How To Build An Email List’. See what results come up near the top. You might also find it useful to look at Google’s related search suggestions, which will you show you what other people have been Googling around that topic. A useful tool to help with this is the Yoast SEO plugin, if you have WordPress. This will let you enter a key word and Yoast will let you know how fell you’ve used your keywords and give you suggestions on how you might strength your post from an SEO perspective. 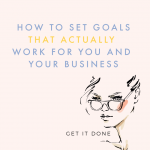 This one is sometimes overlooked but if you are creating a challenge on something you specialize in, chances are that you will already have some content that will be relevant to this topic. Have a look through your past content and see if there is anything that can be updated or that could have your content upgrade or challenge sign up added to. This is particularly useful if you don’t have time or are unable to create as much content as you might like. What Will You Send Your VIP Members? A particular piece of content you will want to make sure you create is specific content for early subscribers. This is something that can often be forgotten until the last minute. What to send those people who join your list before the challenge starts? 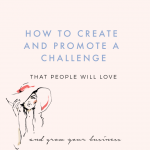 So, for example if you spend two weeks promoting your challenge and someone joins on day one of the two weeks – what are you going to send them? A welcome email of course seems sensible, along with the itinerary of your challenge, what to expect and perhaps any relevant Facebook groups or hashtags they may need to know in order to communicate with other challenge members. I also think it’s useful to create some pre-made graphics in order to ask your new friend to share the challenge and invite others to join them. It also seems sensible that you might want to send them any of the promotional content – such as blog posts or invite them to any Facebook Live sessions you might be having prior to the start of the challenge. 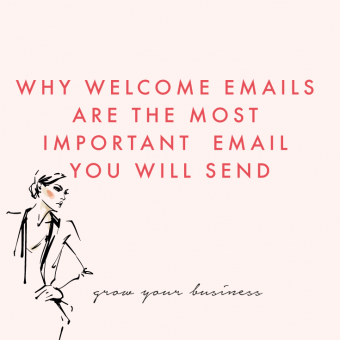 If you need to brush up your email welcome series skills, you might find it useful to hop over to our post on Why Welcome Emails Are So Important and watch our masterclass on all things welcome email! Fabulous! Now we know for sure that our target audience are going to be sent to the right place, where they can find what they are looking for and sign up to your wonderful challenge.